2005-2015 : Nicholas Kirkwood is celebrating 10 years of shoes creations with a special made-to-order collection. The collection once again features the pop culture that has inspired the designer’s graphic aesthetic. In Spring 2005, a new designer with a resolutely innovative style burst onto the high-end women’s footwear scene: Nicholas Kirkwood. To mark the brand’s tenth anniversary, the designer has created a collection of ten models, made exclusively to order. 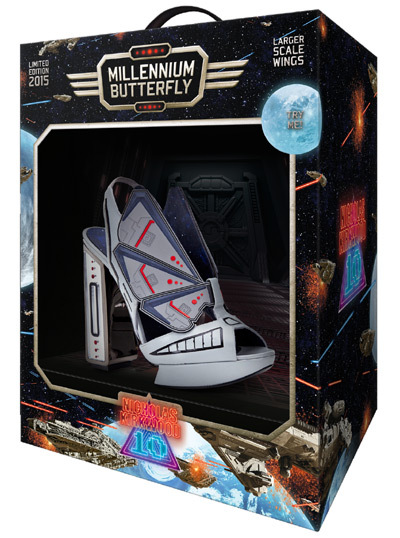 Nicholas Kirkwood once again challenges the traditional conventions surrounding luxury footwear by taking it into the playful, childlike world of video games, toys and films of the 1980s. 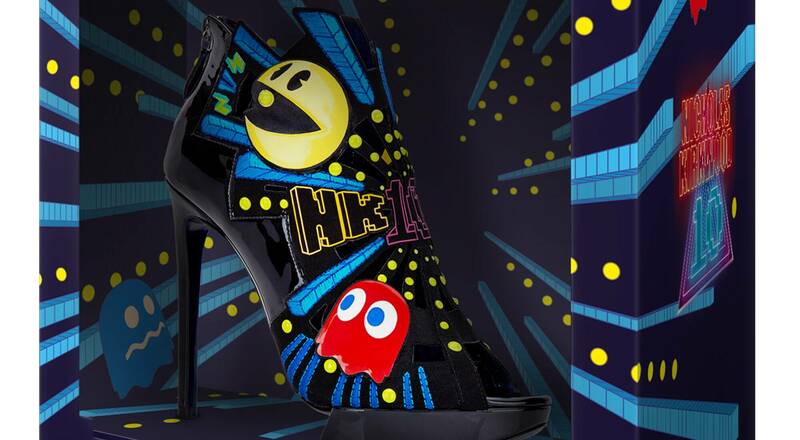 With names like Game Over, Pac Man and The Arcade, the shoes evoke the pop culture that inspired the graphic signature of the House. The “10” collection revisits iconic models from the past ten years and continues Nicholas Kirkwood’s characteristic mixing of high traditional craftsmanship with contemporary technical innovations. This culture of contrast gives Kirkwood collections their distinctive identity, with natural and rare materials found alongside new experimental materials. A feminine architecture is adapted to an audacious expression of forms, crafted in the brand’s Italian workshops. This strikingly original anniversary collection is available on special order until December 1, 2015 at Nicholas Kirkwood stores in London, New York and Las Vegas, as well as through selected department stores.